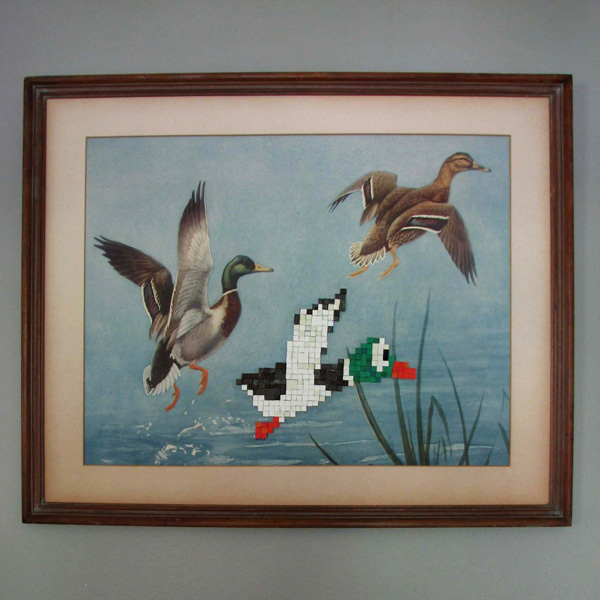 While I personally wasn’t that into Duck Hunt, the classic shooting game on the 8-bit Nintendo Entertainment System, I have to say that this piece of art that combines pixel art with traditional art is lots of fun. Etsy contributor Dpad’s art lets you show off your love of retro games as well as your appreciation of art at the same time. 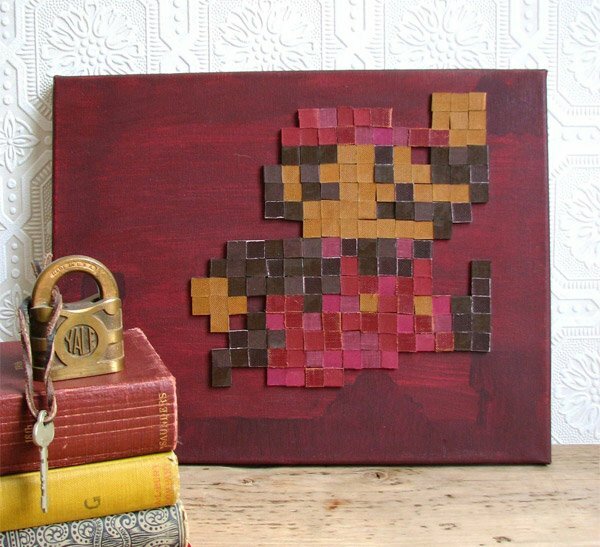 He combines traditional art materials with pixel tiles made from old book covers to make his art. Unfortunately, the Duck Hunt one has sold, but he’s got many more similar types of art in his store. The piece sold for $120, but he has other smaller works as cheap as $40 bucks. 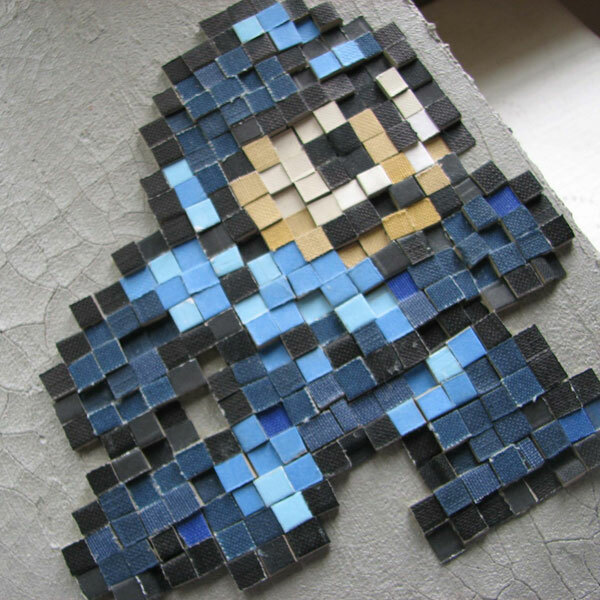 Dpad has also got Mario and Mega Man mosaics made out of similar materials. Between the bunch, the Duck Hunt one has got more style, but I like the Mega Man and Mario ones better because I actually liked playing those games more. Check out Dpad’s other wares over at his Etsy store.